We can’t say enough about the magic that unfolds within each of Disney World’s theme parks! From Magic Kingdom’s pixie dust experiences to Animal Kingdom’s respect for planet Earth – the parks really have it all. The best way however to keep that Disney bubble from popping is to stay at one of Disney’s 25+ resorts. Check out these 10 things you’ll want to know BEFORE you go to a Disney Resort. Selecting which Disney Resort to stay at for your memorable vacation can be tricky. 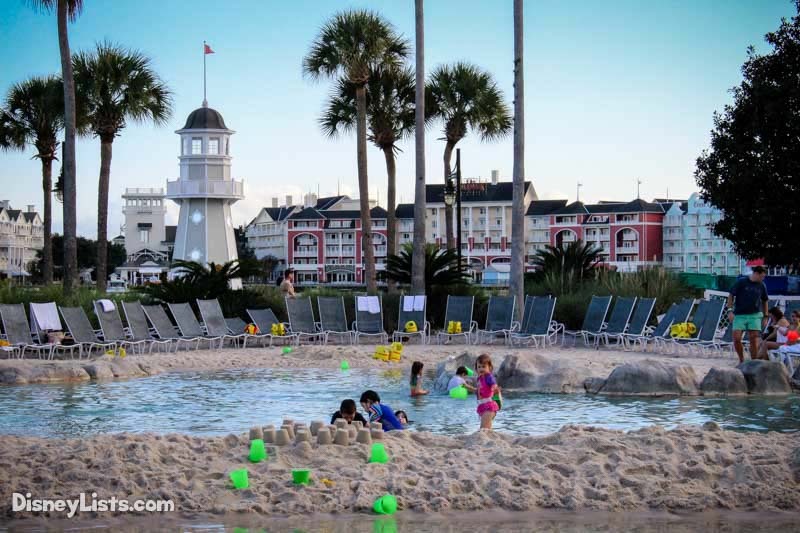 We are thankful however that Disney breaks down their resorts into categories that help those looking to stay within a particular price point. The four resort categories include Value, Moderate, Deluxe and Deluxe Villas – with Value being the lower end of cost per night. Staying at a Deluxe Villa means you’re closer to the parks and have greater amenities. 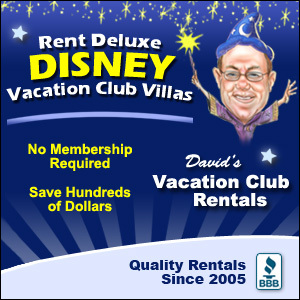 Keep in mind – Disney commercials typically showcase their Deluxe category resorts so it’s especially important to understand the categories so if you decide to book a Value resort, you aren’t disappointed when you arrive and it doesn’t have all the luxury you see in the commercials! On top of the resort categories, Disney’s resorts have multiple room types to fit the variety of family sizes and needs. A campground site to set your tent up on that sleeps 10; a standard hotel room layout with a mini-fridge and microwave that sleeps 4; a 3-bedroom grand villa that has a full kitchen, dining room, and washer/dryer that sleeps 12; and even a bungalow over the water with your own personal hot tub that sleeps 8 – and EVERYTHING in between… there really is something for everyone! Ask yourself what your family needs in size and amenities before arriving only to find this isn’t what you were looking for. Location, Location, Location… you never have to leave the Disney bubble! 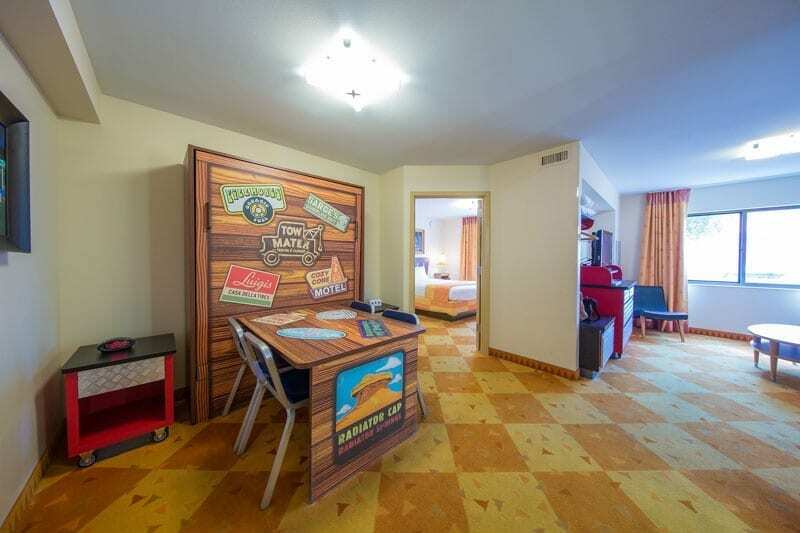 You’ll definitely want to take advantage of these perks to their fullest – which for many of them is well before you arrive at your Disney resort. 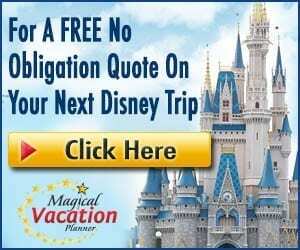 We mentioned the Magic Express to and from the airport above, but you’ll also want to plan and understand in advance how to get around Walt Disney World from your resort. Disney offers complimentary bus transportation to all theme parks, water parks, and even Disney Springs from all of their resorts. Some resorts also have boat, monorail, or evening walking paths to and from these areas. Check all of this out in advance so it’s one less thing to have to do when you arrive. We are spreadsheet people, so when it comes to our budget, we try to do our best to calculate all the costs, especially the unexpected ones. A few extra resort expenses you’ll want to budget for include things like overnight resort parking fees if you have a car with you, resort/souvenir mugs that offer drink refills if you aren’t already on the Disney Dining Plan, and “Mousekeeping”/Cast Member tip money. Skip the front desk all together with Disney’s Online Resort Check-in. Either download the My Disney Experience app on your mobile device or use go to MyDisneyExperience.com on the web. Follow steps to link your resort room to your profile if it hasn’t already been done. Once this is complete, you can check-in online for your resort room well before your check-in date. On the day of arrival, Disney will send you a text message confirming that your room is ready and provide you with a room number. If your MagicBand (that Disney sends a couple of weeks prior to your arrival) is linked to your account or if you have your MDE App “Unlock Door” feature ready to go, you can enter your resort room – all without a stop at the front desk. AMAZING! Let’s say you arrive early for a day in the park, before the official resort check-in time. No worries! You can drop by your resort and leave your luggage with concierges before check-in time begins if you’d like. Then when your room is ready, you can either swing by and pick up your luggage or have it delivered to your room. While this is a complimentary service for resort guests, you’ll still want to tip the Cast Member assisting with your bags. Go ahead and head out to the parks for some fun! On the flip side, if you are IN a park and don’t want to lug your purchases around with you all day, you can ask the Cast Members there to have your purchases delivered to your resort! This is a FANTASTC benefit. The item(s) will go back to your resort for you to pick up at a later time. Call ahead before your resort arrival to ask a Cast Member about Special Resort Activities taking place during your stay. From time to time, particularly during the holidays, Disney Resorts offer special activities not to be missed. Some resorts will have a morning yoga class, a resort 5k walk/run, or even a costume contest during Halloween. There seems to always be something fun happening! Not to mention, the standard resort activities like swimming, games by the pool, movies under the stars, and campfires! Depending on the resort category, you may have more than one dining option to choose from at your Disney Resort. Let’s take Disney’s Polynesian Village Resort for example which has over 10 places to get food and/or drinks! Take full advantage of these restaurants and lounges that are likely easily accessible to your resort room. If you are interested in a table service restaurant, character dining experience, or a dinner show – be sure to make advanced dining reservations as some resort restaurants fill up rather quickly. Our very favorite Disney restaurants are located at the resorts! 10 – What is “DVC”? We’ve heard this story time and time again. A family visits a Walt Disney World resort and falls in love with it. They decide they want to visit often and make it a yearly vacation. They start to notice the Disney Vacation Club (DVC) Cast Members located at the resort and around the parks and begin to take note of all the “Welcome Home” signs. After chatting with a DVC Cast Member, they realize this form of Disney time-share is the right way to afford and stay at Disney time and time again. We personally lived this story ourselves! Do yourself a favor and explore DVC BEFORE arriving at your resort. If it’s of interest to you, chat with one of the DVC Cast Members upon arrival. If you decide to buy in – you just never know what they may do to comp your current stay and/or move you into a DVC resort as part of your welcome package. Your magical resort stay awaits, so happy planning in the meantime!